Are you an investor on the hunt for bargain property in Turkey? If so, let Turkey Homes do the work for you and check out our list of top Turkish properties available for under £100,000 this winter. 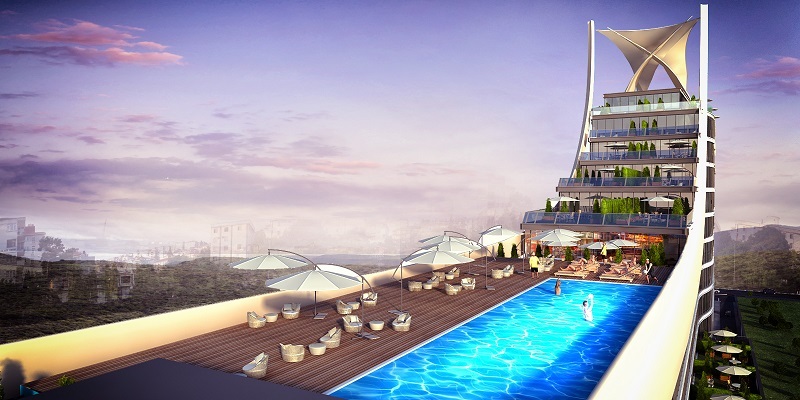 Fancy a modern new build property in Istanbul at a bargain off-plan price? If so, consider these contemporary 2 bed apartments in Basin Express. Located right in the heart of this trendy up and coming business district and within easy reach of the main transport connections to the city and airports, this striking ship-like development is priced to sell and comes with a one year interest free payment plan. Located in Bagcilar, in the highly sought after Gunesli district, it's the ideal option for an investment property in Istanbul or as a city dwelling with schools, hospitals, shopping and leisure facilities all close at hand. Prices in the area are rising fast and housing deficits ensure a rental demand. This project consists of 110 properties sitting in one block with units spread over tiered levels. On site facilities include a large communal pool, fully equipped gym, landscaped gardens and lifts to all floor allowing for easy access. 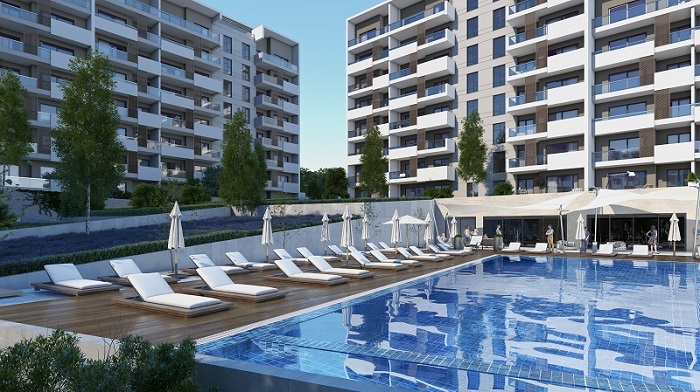 This unique development of complete 1 to 5 bed apartments for sale in Istanbul is situated in Beylikduzu, within walking distance of some of the best restaurants, shopping (Marmara Park mall is just 5 minutes away), and transport links on the European side of Istanbul. This is a low rise and attractive project of 476 apartments spread over 7 blocks on a large 28,000m2 plot. Communal facilities include botanical gardens with outdoor swimming pool, sun terraces and shaded pergolas, walking and running tracks, car parks, spa and Turkish bath, gymnasium, indoor pool and reception and management services. All the apartments are built to the highest standards using quality fixtures and fittings. The payment terms are excellent with the developer offering discounts for cash purchases or the chance to pay in installments. This project is close to the new canal project and the main highways to many popular areas, it is also within easy reach of Ataturk Airport and Istanbul's new Istanbul airport therefore prices are likely to rise significantly in the coming months. Antalya is Turkey's most popular coastal resort. Easily accessed via its international airport, the city serves up sandy blue flag beaches, first class facilities, fancy hotels plus a wealth of historical sites and cultural attractions to keep visitors entertained. This newly completed private development is located right in the heart of the popular suburb of Lara, in the Kundu area just a few minutes from a glorious sandy beach. A small walled and secure development built around a large communal pool, these contemporary apartments for sale in Lara are ideal for families, those looking to live in the area permanently, or for investment. All apartments boast modern kitchens with luxury features, inverter air-conditioning units and large terraces or balconies ideal for alfresco dining. 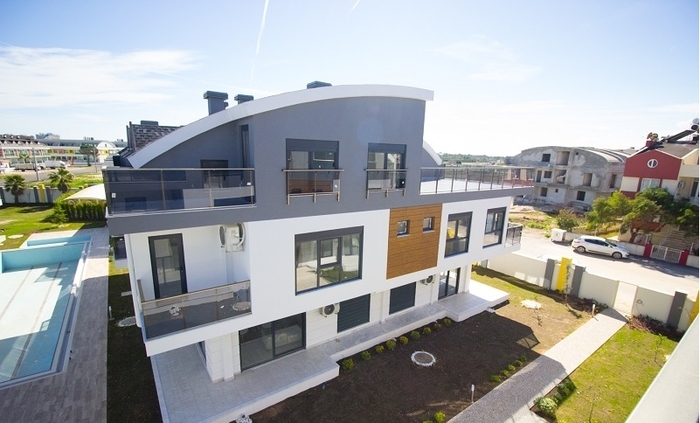 The extremely spacious duplexes with 2 beds, 2 baths and a large living and kitchen are proving particularly popular with first time property buyers in Turkey and offered at a great price. 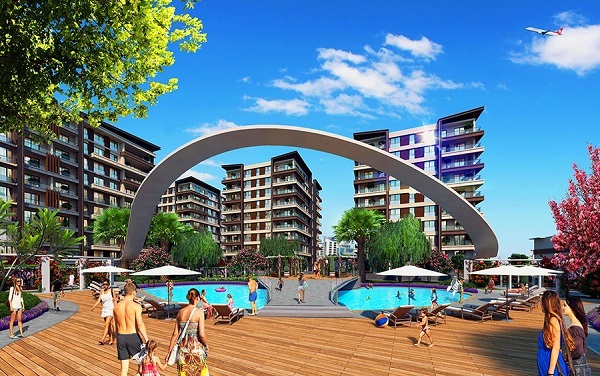 Take a look at this lovely new development of modern Fethiye apartments for sale. Tucked away in the popular residential suburb of Tasyaka, just 5 minutes drive from Fethiye town centre and 20 minutes from the famed lagoon of Oludeniz, they are ideal for investment or for those seeking an affordable holiday home in the sun. 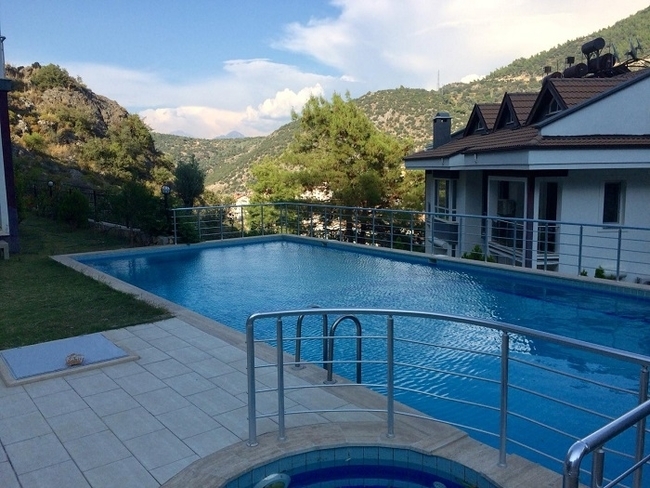 These apartments in Fethiye are in an elevated position offering great mountain and forest views. They are built to the latest standards and boast a wide range of communal facilities including outdoor pools, a heated indoor pool, fully equipped gym, Turkish bath, sauna, basketball court and landscaped gardens. All the apartments have 24 hour security. There are a number of modern 2 bed apartments in Tasyaka available, each very competitively priced and immaculately finished throughout. Izmir is Turkey's third largest city located right on the Aegean coast. Serving up first class city facilities along with sophisticated little tourist resorts and bays, it's a province that is rapidly gaining popularity with both Turks and foreigners. Served by its own international airport (Adnan Menderes), and with main highways taking you to Istanbul and along the coast towards Antalya, Izmir has a lot to offer lifestyle property buyers and buy to let investors with this project of 317 stylish 2 and 3 bed apartments just one example of the quality of many properties for sale in Izmir. This development consists of 16 residential blocks spread over a 30,000m2 plot with 23,000m2 parkland. Communal facilities include a large outdoor pool with kids’ pool, sunbathing terraces, running and walking tracks, fitness and gym facilities, cafe, basketball and tennis courts and mini-market. See a property of interest? Want to know more? Turkey Homes are fully accredited real estate agents in Turkey and the UK. With a head office in London and regional offices in Istanbul, Antalya, Fethiye and Bodrum, we boast one of the most comprehensive Turkey property portfolios around. Take a look at our website or download our easy to use App allowing you to save your search criteria and quickly match your budget with suitable properties by area, type and price. Alternatively, speak to one of our fully trained consultants for a personal run down on current opportunities.